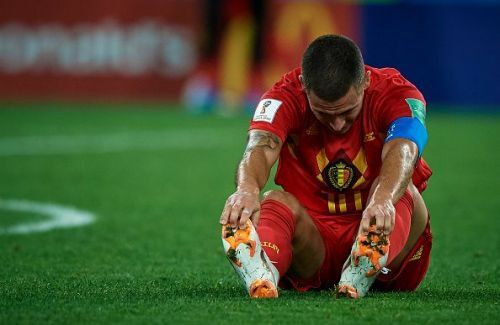 After so much hope and expectation, Belgium exited the World Cup at the semi-final stage after a defeat to France. This was Belgium’s golden generation, and for this particular group, it was probably the best chance they will have of winning a World Cup. Things were looking so hopeful for them coming into the semi-finals. They were one of just three teams, along with Croatia and Uruguay, to win all three of their group games, easing through to the round of 16. They showed their character in the second round, coming from two goals down to beat Japan, with Nacer Chadli scoring a last-minute winner. They produced a superb performance in the quarter final against Brazil, looking strong in all areas of the pitch as they won 2-1 to progress to the semi-finals. This was billed as Belgium’s golden generation. There were a lot of top players in this side, and we have seen at club level how good they are. However yet again, they haven’t done it on the big stage. There were quarter final exits at the Euros in 2016 and the World Cup in 2014, but people believed, particularly after the exits of Argentina, Germany and Spain, that this could be their time. For many of their top players, they might not have any better chance of winning a World Cup. By the next World Cup in Qatar (2022), Vincent Kompany will be 35, Jan Vertonghen will be 34, while both Eden Hazard and Kevin de Bruyne will be in their thirties. Obviously a few of them will still be around for the next tournament, but they are at their prime now. The likes of Thibaut Courtois, Romelu Lukaku and Yannick Carrasco could be hitting their prime by 2022, but they won’t have as many world class players around them then. Belgium will hope they get another group of players that can match this one. Here are five men who could help form their next golden generation. 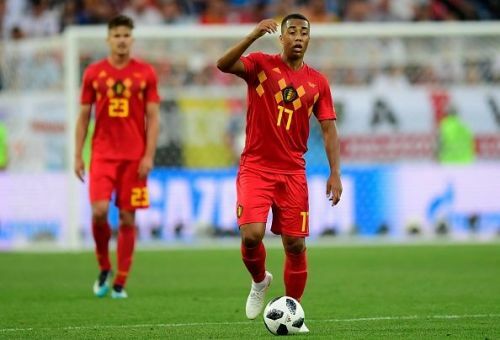 At 21 Tielemans was the youngest player included in Belgium’s World Cup squad, and one who could stick around for the next two or three tournaments. He hasn’t had too much of an opportunity in Russia. He started the final group game with England, but that was only when both teams rested a host of players, and along with his other two substitute appearances, racked up only 97 minutes on the pitch. This tournament was probably more for him to gain experience than to make an impact. After four seasons in the first team at Anderlecht, he made the move to Monaco before the start of last season, but sadly that move hasn’t quite worked out well yet. There is no doubting his talent though. He is an accomplished passer of the ball, and capable of dictating play from the centre of the park. He is able to do a job in front of the defence, but is also able to provide that bit of quality in a more advanced position. He is a player who has interested Europe’s top clubs in the past, and rightly so. Monaco is the right place for him to develop. We have seen over the past couple of years that players improve drastically in the principality, and Tielemans could be the next man.